Personalised Christmas party boxes are now available in our 3 lovely festive designs, featuing a snowman, reindeer and penquin! Available in a large range of colours, they are ideal for use as Christmas party boxes or gift boxes, and can be customised with your own message. See these and all our other Christmas party products in the Christmas section. It can be argued that I have better things to do with my day, but product testing is very important to us. If we don't like the products, then they don't go in the bags! Simple. provides loads of fun for only 80p! 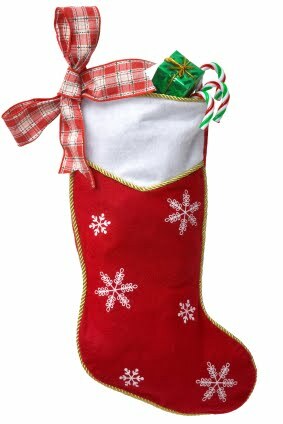 Need to fill the kids' stockings but don't have time to flit round the crowded shops? We have a new stocking fillers section, full of pocket money toys, stationery, jewellery and hair accessories, and scrummy personalised chocolate bars. So grab a drink, sit back and buy all your stocking fillers online. You can see them all in our stocking fillers section. For a while we've been selling a lovely range of wedding activity bags for children, and you can now buy them ready-filled! All the bags are made from recycled paper, and contain toys that are specially selected for quiet play (although we know this cannot be guaranteed!). As in all our filled party bags, you can decide on the colour and design of bag, and to make this bag extra special, we will customise it with your own message. You can see all the new products in the wedding activity bags section. Animal Mugs back in stock! After what seems a long wait, we're taking delivery of more of our best selling animal mugs tomorrow (Friday 6th November). 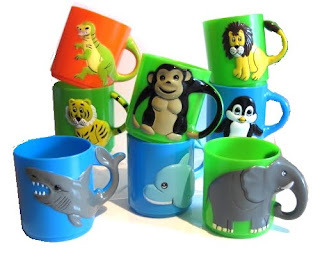 For some strange reason, lion mugs are unavailable, but we'll have the rest of our full range available - elephants, tigers, monkeys, giraffes, penquins, dolphins, seals and dinosaurs. You can buy them on their own, or filled animal mugs, with a balloon and small toy and wrapped in a lovely cello bag. A perfect stocking filler or alternative to a party bag. 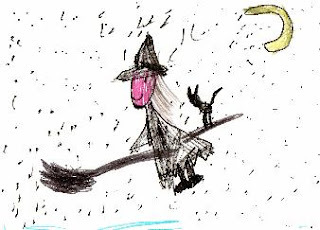 Many thanks to all those who entered our Halloween art competition. We had great fun sorting through the entries, and finally decided on our two winners. 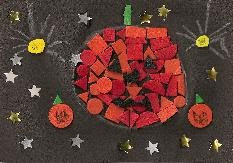 The winner of the 3-5 year old age group is Ashley Knight, aged 5, for their gorgeous pumpkin collage! The winner of the 6 years plus category is Chantelle Holloway for her magnificent Halloween witch! Well done to both our winners, who will each receive a filled party bag worth £20.00.